The president's continued criticism of the late senator is a sign of his own insecurity. I am writing this letter in response to someone who thinks a tweet is the highest form of literature. Unfortunately, he has brought public discourse to a mud wallow. I am incensed that this half-learned president of ours chooses to attack the honorable John McCain, months after the late senator was given a hero’s burial. I may not have agreed with Sen. McCain politically but I respect him for his lifetime of distinguished service to this country. The only person who would despise such a record is someone who is certain only of his conceit. I do not respect someone who has used dubious deferments to escape the Vietnam draft, covered up his equally dubious school and financial records, tossed paper towels to disaster victims and sneaked in to glance briefly at the Martin Luther King Jr. Memorial on Martin Luther King Jr. Day. To use Twitter as the main tool for propounding a political strategy, bereft of any embracing ideal, is testament to his preference to dictate rather than govern. Notwithstanding the documentation of his ongoing lies, this president carries on as if everyone in the world believes him – no interpreter needed. May he go on his merry way. 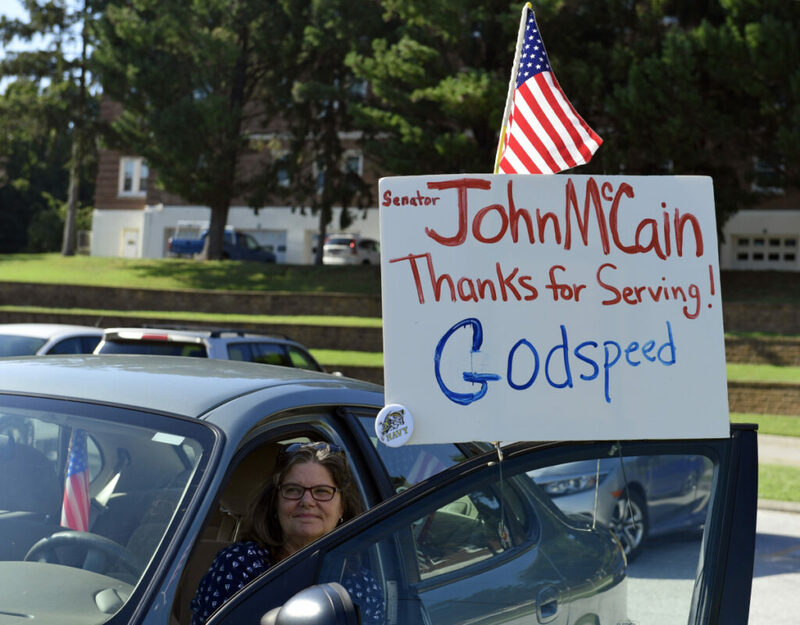 His name will not go down on the right side of history – as John McCain’s has.